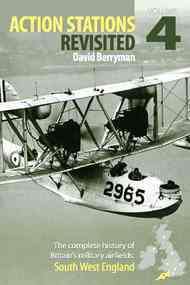 Action Stations Revisited Vol 3, SouthEast England Vol 4, SouthWest England CRECY CONTINUE.. Fully revised and updated Crecy has now released this new version of Volume 4 of the Action Stations.. 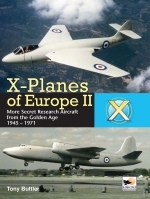 I am glad to see that Crecy are publishing these updates at a reasonable frequency and I am sure tha..
Military airfields of the south-west are the subject of the latest volume of the new Action Stations Revisited series. 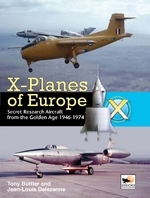 Volume 4 deals with all of those airfields that are, or have been, military at some stage in their time. The area covered includes most of the counties of Gloucestershire, Hampshire and Wiltshire, along with those of Dorset, Somerset, Devon, Cornwall, the Isles of Scilly and the Channel Islands. The whole of British aviation history is reflected here from the birth of military aviation at Larkhill, flying training at Old Sarum during the First World War and at Upavon during the 1930s, to fighter operations from Charmy Down during the Second World War. Post-war developments at Filton and Boscombe Down are supplemented by recent activities at Culdrose, St.Mawgan, Yeovilton and Lyneham. Accounts of the construction and operational use of the stations, with the aircraft types flown and units involved are illustrated by a wealth of photographs, many of them previously unpublished. Arranged in alphabetical order with maps and map references, directions, plus an index, Action Stations Revisited No 4. South West England provides a fascinating wealth of information for the historian and enthusiast alike.